KUALA LUMPUR: In conjunction with the forth-coming Chinese New Year holiday celebration, Malindo Air today officially announced that all bookings are now open for its new services, Kuala Lumpur-Hong Kong-Kuala Lumpur. The daily flight to Hong Kong, as part of its expanding international network, will commence on 5 February 2016. - Kuala Lumpur-Hong Kong-Kuala Lumpur starts from RM579 for Economy Class and RM1,699 for Business Class return fare all inclusive. The promotional fares include perks such as free baggage allowance, in-flight entertainment, a meal and light refreshments. CEO of Malindo Air, Mr Chandran Rama Muthy said, “We are immensely excited with the introduction of Hong Kong as our new destination. Hong Kong has been a popular holiday destination for Malaysians. 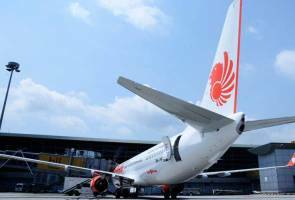 Chandran added that there will be an upsurge of arrivals expected in Hong Kong and Kuala Lumpur this year attributed by Malindo Air’s daily new services. As a result, the objective of turning KLIA into a regional hub will be met with this new Kuala Lumpur-Hong Kong connectivity. The narrow-body Boeing 737-800 aircraft with a seat capacity of 162, with 12 Business Class and 150 Economy Class seats, will be deployed on the new route. The flight time between Kuala Lumpur and Hong Kong will take 3 hrs 55mins. For bookings and enquiries, visit www.malindoair.com, write in to Customer Care Centre at customer_care@malindoair.com or call +603-7841 5388 from 7am to 11pm daily. For purchases through mobile phones, use mobile.malindoair.com or download the Malindo Air App on Google Play and App Store. All timings stated are local time in 24-hour format. India, Bangladesh, Nepal, Singapore, Sri Lanka, Southern China and Australia.